From Mark 2:9-12 we may presume that when sin is forgiven the associated illness is also healed. From 1Corin15:56-57 and related verses we could assume that sin is the cause of almost all(John 9:3) illness and ultimately death. Say if I have an illness which i think is caused by a particular sin of mine. I go confess my sin and receive forgiveness for my sin and stop repeating that sin. Could this mean that my illness will be healed? However if the illness still remains, would it mean that my sins have not been forgiven? Are there other verses in the Bible that supports this assumption? 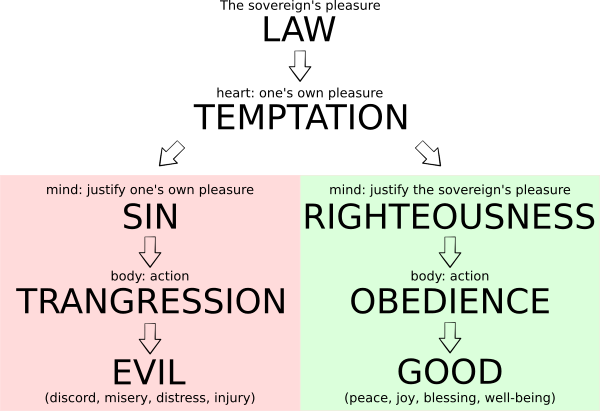 In Mark 2:1-12, Jesus attributes the man's sickness to his sin -- "Son, thy sins be forgiven thee" -- which means it arose as the result of some behaviour of his that was counter to the commandments of God. In John 9:1-11, however, Jesus says that neither the blind man nor his parents had sinned, so his disability was attributable to the accumulated consequences of mankind's longterm ignorance/defiance of the commandments of God. Whether or not illness/disability is attributable to one's own sin or to the accumulated sin of mankind, living life within the safety net of the commandments of God WILL bring a better outcome for one's life into the future. O Nebuchadnezzar, we have no need to answer you in this matter. If that is the case, our God whom we serve is able to deliver us from the burning fiery furnace, and He will deliver us from your hand, O king. But if not, let it be known to you, O king, that we do not serve your gods, nor will we worship the gold image which you have set up. They had no expectation of salvation from their fate. Yes, they believed God could rescue them, but even if He chose not to, they were still not going to be moved from their course. One's attitude towards delivery from the fiery furnace of illness and disability must be the same as Daniel's three friends -- "My God whom I serve is able to deliver me from illness and disability, but if not, let it be known that I will live according to His law, and I will not be moved to serve any other!" I included the following graphic in another answer, but it bears including here as well. Each person has only two courses: they will either set their heart to pursue God's pleasure or to pursue their own. The path to blessing, however, is unmistakable and immutable. Not the answer you're looking for? Browse other questions tagged life-of-jesus forgiveness healing or ask your own question. What is the message of Matthew 9:5? Why are fathers missing in Mark 10:30? Do Christians have the authority to forgive sin? Could Christ who carried our sins on the cross forgive those same sins? Protestant Interpretation of John 20:23 in Light of Matthew 9:8?